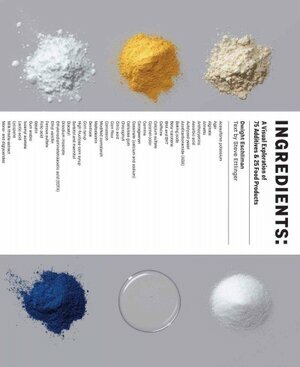 Ingredients, a new book by photographer Dwight Eschliman and writer Steve Ettlinger, seeks to demystify 75 common food additives, from acesulfame potassium to xanthan gum, by providing an easy-to-read encyclopedia of sorts of various food additives, their uses and their history. 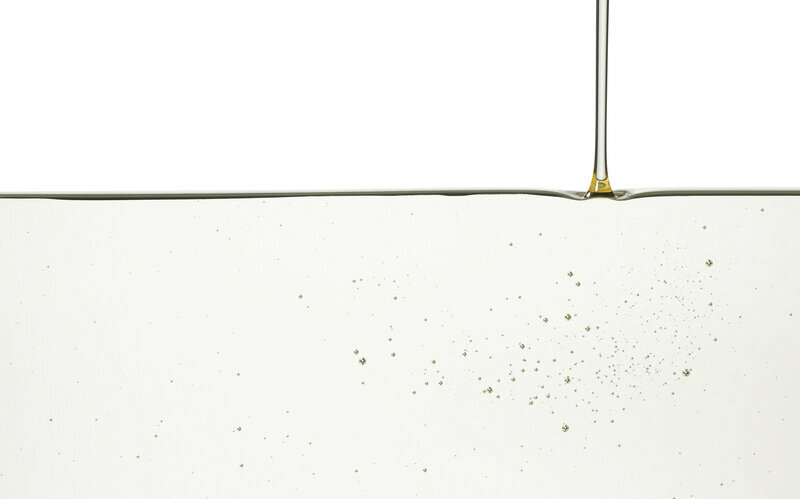 Eschliman, who had to source each additive before he could photograph it, says that he was surprised by "just how thoroughly this world is full of white powders and clear liquids." He did run into one additive that was impossible to get: high fructose corn syrup. He says multiple manufacturers refused to send a sample either to Eschliman or to a "completely legit" friend of his who works in the food industry. It was the only moment in the process of creating the book that gave him pause. "If they're running TV spots talking about how great high fructose corn syrup is, why won't they give me any?" he says. He ended up having to reuse some from an earlier project, sent to him before critics started zeroing in on it as a major culprit in America's obesity epidemic. Because it's a cheap sugar, it ends up in lots of processed foods, especially beverages. While both authors say they're firmly in the "eat more fruits and veggies, cut down on the processed foods" camp, this book is not an expose about dangerous additives. "Everybody wanted us to align very much with those on the soapbox talking about how bad the food was," Eschliman says. "I wanted to take some measures to prevent that." 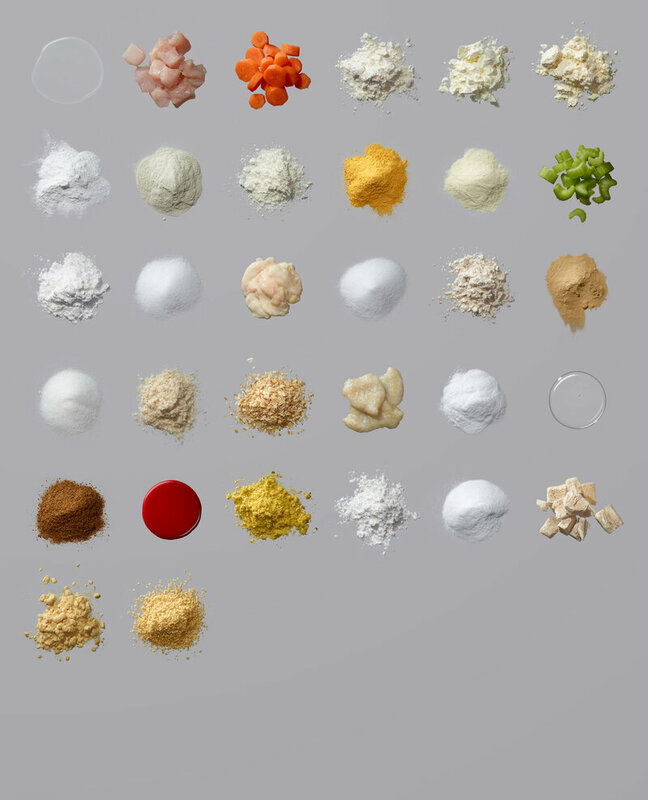 His first step was specifically choosing additives that he could organize into three categories — neutral, negative and positive — to make sure the book didn't lean too heavily in one direction. "It's easy to talk about the 'bad' ones," he says, "but no one is talking about chlorophyll or beta carotene." Eschliman admits that he had initially placed monosodium glutamate —better known as MSG — in the "negative" pile. For decades the additive, popular in Asian cooking and other cuisines, has had a reputation for causing "Chinese restaurant syndrome" — health woes including heart palpitations and other allergic reactions. But today, most scientists agree that this reputation is entirely unfounded. Or, as Eschliman put it, "it doesn't cause every one of my headaches." Glutamate is a naturally occurring amino acid, and the same flavor enhancer that makes Parmesan cheese or tomato sauce so delicious. 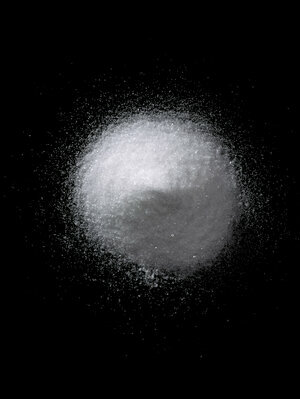 In the form of MSG, it's just one of many white powders and clear liquids that have gotten a bad reputation because of a poor understanding of chemistry and public mistrust. Fueling that mistrust are concerns that the Food and Drug Administration exercises too little oversight over the process by which companies add additives to food. Though it's technically a yellow powder, azodicarbonamide, or ADA, became famous last year after Vani Hari, the blogger and activist better known as Food Babe, petitioned Subway to remove the "yoga mat chemical" from its bread. 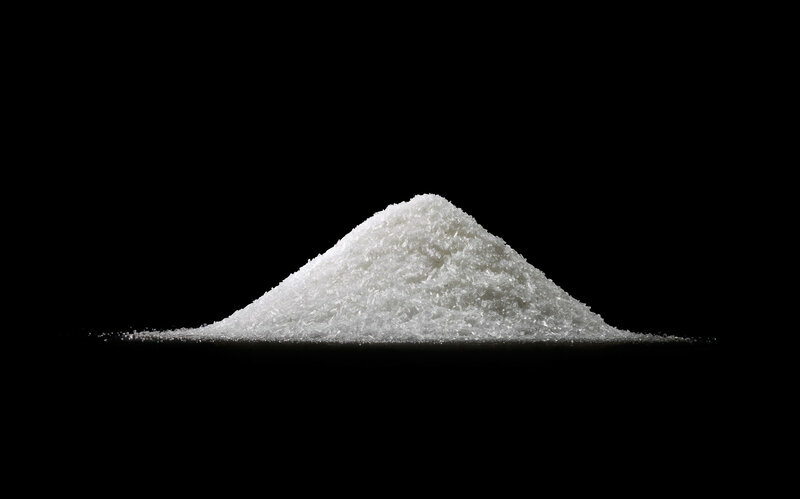 The production of ADA may cause asthmatic symptoms or skin irritation for the factory workers who make it, but as The Salt has reported, there's no evidence ADA poses any risk to consumers who eat it. While it sounds a bit scary that the same additives that show up in rocket fuel, yoga mats, fertilizers, fire retardants and rust dissolver could be in our chips and sandwiches, it doesn't mean we are eating any of those things. Salt is made from sodium and chlorine and, as Ettlinger writes, "has an estimated 14,000 industrial uses." Dihydrogen monoxide, also known as the nonthreatening water, has even more industrial applications. Yet no one has called water the "antifreeze chemical." But not all outcries against food additives are without merit. Sodium benzoate is one of the most commonly used preservatives in history — found in everything from foods to pharmaceuticals to "whistling fireworks." But, Ettlinger writes, "One place you will not find it is in Coke and Pepsi." It used to be on the list of ingredients in both sodas until consumers discovered that when sodium benzoate combines with ascorbic acid it creates benzene, a known carcinogen. The FDA has said that the levels of benzene detected in sodas do not pose a safety concern. But, as Ettlinger writes, "the outcry was convincing enough for the manufacturers to switch to alternatives." Ettlinger and Eschliman's curiosity about additives comes through on every page. Each photo gives a rich sense of the additive's color and texture, and the text regularly throws in additive trivia. Did you know that a lot of baking soda ends up in cattle feedlots to act as an antacid for grain-fed stomachs? Or that many fruits and vegetables are covered in a waxy preservative, shellac, that comes from an insect known as the "lac beetle"? 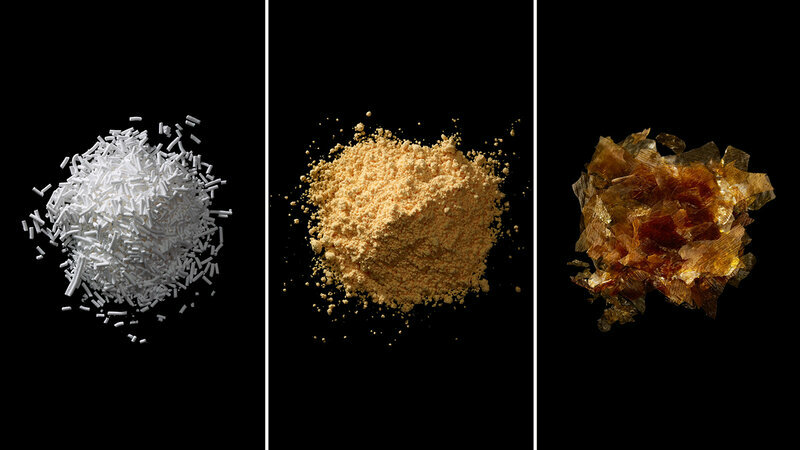 It's easy to be scared of these additives when we know so little about them. "As it happens, it doesn't take much to understand," Ettlinger says. 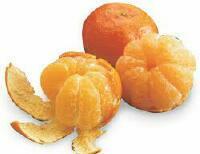 Previous Previous post: You eat what you are… but you can change what you are!